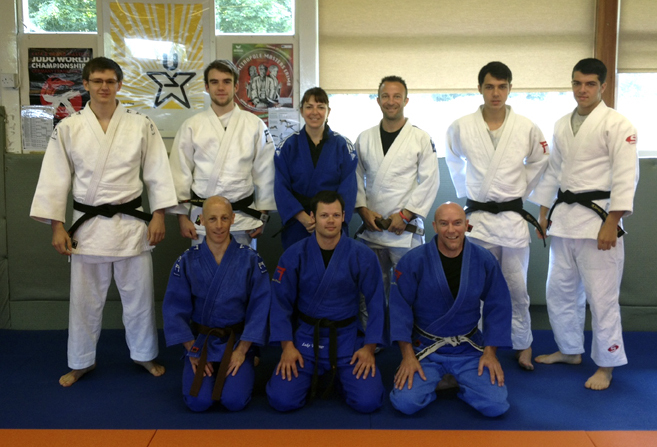 Patchway Judo Club is run by a "Parents Forum", so that everyone can be involved as much or as little as they wish. The club is also governed by it's own constitution which can be seen here. We have judo jackets for children to borrow when they first come along, after they have been coming for a few weeks they can buy their own from the club. We stock a small range of kits, but can order any kit you may require at very competitive rates. Prices start from about £28 . Some second hand suits are available. At Patchway we have a coffee bar, whilst your children are training why not relax and enjoy a cup of tea or coffee! Sweets & drinks are also on sale & on Saturday’s hot food! Tthere is a rota for much needed extra willing volunteers! All profits made by the Kitchen go towards subsidising events for the children. All sweets and drinks are competitively priced. Where else can you get a freshly cooked double bacon roll for £2? It is imperative that you sign a permissions form as to whether or not you are happy for the club to use images of your child on this website and will do so inline with the BJA Child Protection Policy which the club has adopted. 3 or more family members £30 per year. 15 and Youth 16 & 17 £27 new; £22 to renew. Competitions for over 8s from £10 - £18. Under 8s training sessions (with medals) from £6, approx 5 per year. When can my child start learning judo? Under BJA rules we can start taking children 4 weeks before their fifth birthday (also known as "rising 5s")..
Will my child have to fight in competitions? Patchway is committed to being both a recreational and competitive club. There is no pressure for players to enter any competitions, players can grade from Kano 1 all they way to top brown (18th Mon) without entering competitions should they so wish. However, if your child does wish to play competitive judo, then the club will help them become the best they can be, giving them a firm founding in modern competitive judo and provide the technical knowledge and competitive insight required for success at club level and beyond. With close links with other clubs in Bristol, and also with Bristol County Judo, you can rest assured there is opportunity to train with some of the best players in the South West. Coaches will decide which competitions are suitable for a player, taking in to account, age, ability, experience and weight category. Coaches have a duty of care to ensure players are not entered in to comeptitions that aren't appropriate. We ask that all parents respect the experience of the coaching team. Just because a player is able to do a competition, it is up to the player if they enter. How do I know the club is of a high standard? We achieved our Sport England Bronze Club Mark Award in July 2007 - (see the Club Mark page!) and we achieved Silver in 2010, only the 2nd club in the South West to do so. For more details about Club Mark www.clubmark.org.uk . 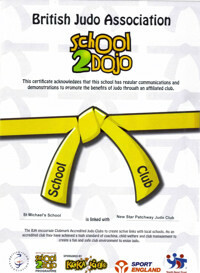 We are the only Judo club is South Glos to have achieved Clubmark, only second in South West of England. The club is run by a parent's forum, so if you are a parent of a child at the club, then... Congratulations! You are automatically member of the forum! How active you are is up to you, but remember ~ all activity burns calories!! The club owes a great deal of gratitude to the active members of the Parents Forum and without their commitment and support this club would grind to a halt. You will see their names appear listed on newsletters and see them helping out on Tues/Sat sessions along with organising club outings/events. More parents need to get involved in this Forum to help out the others as it is your club not somewhere just to bring the kids, it's for the whole family!. BJA rules dictate that we must have a chairperson, secretary and treasurer. These and the other formal roles listed below in the who's who section are elected at our AGM which is held in May, but you don't need to have a formal position to get involved!! Come on, embrace yourself with a great feeling of achievement and well being - as Uncle Sam nearly said "Your Club needs you!" Can my child wear a blue kit? Some clubs don't allow them at all, at others they are only worn by coaches. Until a player is entering National standard competitions they can only fight in white kits. Even at National level if they have a blue kit, they must also have a white one. In our club, blue suits may be worn by players once they have won a medal in an over 8 competition, or a BJC competition (which are open to under 8s). This ruling was brought in several years ago, as an incentive for players to enter competitions, and to identify those players working towards the squad. Squad t-shirts are awarded to players when they have shown commitment to entering competitions, outside of inter clubs, and a commitment to training. 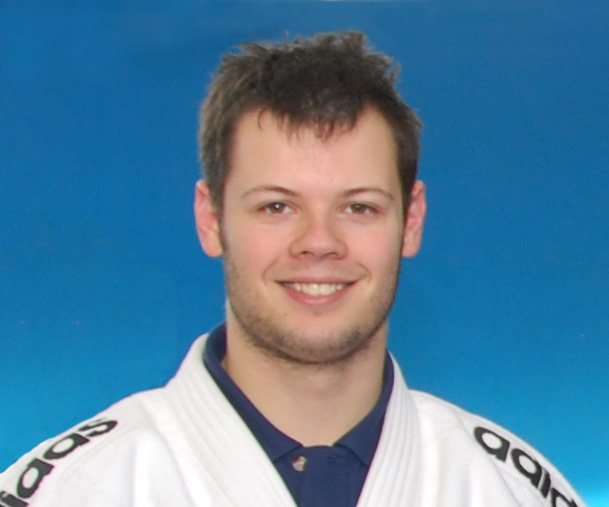 Luke is a black belt 2nd Dan Grade and a Club Coach. He sarted judo at the age of 8. Whilst fitting his coaching duties in Luke is still competing. Luke has been coaching for over 15 years. He also goes into schools to create school clublinks and promote judo.Luke often attends courses to learn new skills that will help our players inprove their all round skills to get the best out of their judo. Luke achieved 2012 grass roots volunteer award. Alison is a UKCC (UK Coaching Certificate) level 2 coach. Alison has attended many coaching courses in several sportsr. 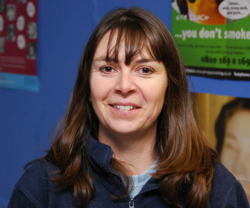 She is also a Disability Sport & Equity tutor & has been working with children in one form or another for over 15 years. As well as coaching she is the Patchway Club Secretary & Western Area Judo Association Secretary. She has many years experience of coaching children and adults as well as those with Disabilities (learning & physical) in many different sports & activities. Chris started judo aged 4! He joined Patchway aged 7, won his first team medal for the club aged 8! Chris was Patchway's first male blackbelt. 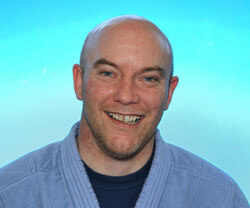 After a few years away from the club, Chris is back on the mat and is a BJA Club Coach. Like Luke he is still competiting and has recently earned his 3rd Dan. Chris is already well on his way with points for his 4th Dan. A welcome addition to the coaching team, with bags of enthusiasm and experience. Alex is a UKCC level 2 coach. 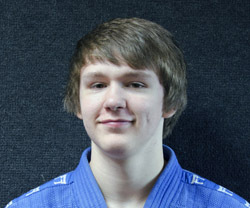 He started judo aged 8 after attending a school taster session with John Wheeldon. Alex was voted the 2012 BJA Young Volunteer of the year Silver Award and 2012 South Gloucester Junior coach of the year runner up. In addition to our four level 2 coaches we also have seven level 1 coaches, all with different experiences and skills. 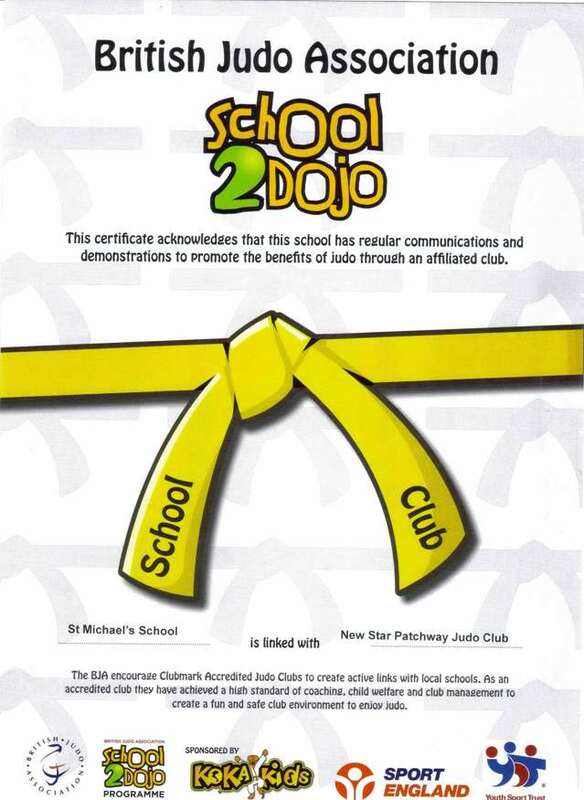 As a BJA Clubmark Club, Patchway is able to participate in the BJA School 2 Judo program, which aims to forge close links between clubs and local schools to encourage children to get involved with sport. By 2010 all 5-19 year olds will be offered at least 5 hours of sport each week, which will comprise of at least 2 hours of high quality PE and sport at school. In addition they will also be encouraged to take part in at least a further 2-3 hours beyond the school day through community sport, and we hope this will lead to children who had not considered judo before realising the benefits and coming to train regularly at Patchway.